Count On Us For All Your Plumbing Needs! Do you currently run a septic tank system but are in need of expert assistance in managing the pumping and repair aspects required? Do you find yourself in need of a company that can provide quality services in all facets of commercial or residential plumbing? Do you need assistance with water heaters or septic plumbing services that won’t leave you frustrated? Here at US Rooter Service & Bill June Plumbing, we are able to meet all of your expectations and more through the provision of our efficient service. We offer commercial and residential plumbing services as well as handle all types of septic tank or water heater jobs that you need done. We offer a complete solution that is designed to address all your needs or concerns in a timely and cost-effective manner. Through the use of effective communication, dedication to our work, and good old-fashioned hard work, we are able to get your plumbing needs addressed in no time at all. Our septic services include all the various aspects of maintenance, repair, and pumping so that you can get it all through one great company. Combine this with our wide range of general plumbing services, and you have an experienced team that is able to handle anything. Our staff members are certified and trained to perform all the necessary plumbing work required of them, and we, as a business, make certain that we carry all the required business insurances. Our goal is to provide you with the simple peace of mind that your plumbing concerns will be fixed quickly, efficiently, and within a reasonable budget. 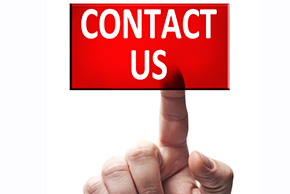 So contact us today at (760) 367-2553 for plumbing, water heating, and septic services that you can count on!